Delhi-headquartered GR Infraprojects Ltd has filed its draft red herring prospectus (DRHP) to float its maiden public issue. 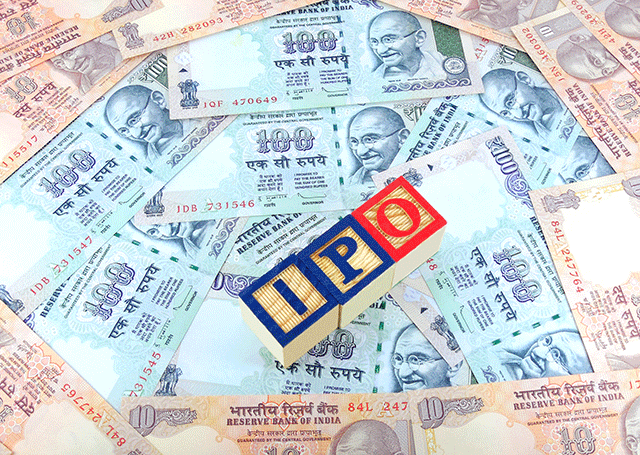 The proposed initial public offering (IPO) comprises a fresh issue to raise Rs 240 crore ($36 million) in addition to an offer for sale by a private equity investor and the promoter. VCCircle had first reported on 26 July that the firm has hired bankers for the issue that may raise around Rs 500 crore in total. GR Infraprojects joins other infrastructure and construction firms such as Dilip Buildcon Pvt. Ltd (which completed IPO in August) and GVR Infra Projects Ltd that is in the queue to float its public issue, to tap the public market. Other infrastructure firms that went public in the past year or so include Sadbhav Infrastructure Project Ltd, PNC Infratech Ltd and MEP Infrastructure Developers Ltd.
Issue: Fresh issue to raise Rs 240 crore and offer for sale of 1.1 million shares by the promoter and 4.3 million shares by Motilal Oswal Private Equity. Bankers: ICICI Securities, Motilal Oswal, HDFC Securities, IDFC Securities and SBI Cap. The firm intends to use Rs 150 crore to purchase equipments for its engineering, procurement and construction (EPC) business; Rs 25 crore to retire debt and the rest of general corporate purpose. Incorporated in 1995, GR Infraprojects took over the infrastructure construction business of the partnership firm of its promoters, the Agarwal family, established over two decades earlier. The construction company is involved in roads and highways, bridges and airport runways. It has executed projects in Rajasthan, Uttar Pradesh, Bihar, Meghalaya, Gujarat, Madhya Pradesh, Himachal Pradesh, Punjab, Haryana, Jharkhand and in Nigeria, according to its website. In addition to EPC activities, it also owns three operational road projects constructed and developed by it on ‘Build Operate Transfer’ (BOT) basis. It also has a manufacturing unit, under which it processes bitumen, make thermoplastic road-marking paint and road signage and fabricate and galvanise metal crash barriers. As on 30 June 30, it had 4,321 permanent employees. GR Infraprojects, which reported decline in revenues for two straight years (FY13 and FY14), only to rise by around 10% in FY15, made up for it with topline doubling to Rs 2,019.5 crore for the year ended 31 March, 2016. The company that saw its net profit shrink for three straight years, more halving between FY12-15. But last year it tripled its net profit to Rs 101.3 crore over 2014-15. In March 2011, the company raised Rs 80 crore ($17.47 million then) from Motilal Oswal PE and IDFC Alternatives. Motilal Oswal PE that led the round and currently holds 9.9% stake is looking to sell almost 90% of its stake in the IPO. IDFC Alternatives had exited the firm last year.